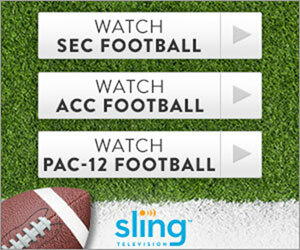 AT&T WatchTV is a most affordable of all live TV streaming services but also the one with least channels and features. All that said it might be a best fit for you. Stream 30+ channels of live TV and get access to the Video on Demand library of 15,000+ shows with this plan. It is FREE with the AT&T Unlimited & More cellular plan. AT&T WatchTV is a live TV streaming service that lets you augment your over-the-air channels with additional cable networks. It is the most affordable service on the market at the moment. DVR service is not included and only one stream per account can be used. However it does allow access to the extensive Video On Demand library of 15,000 TV shows and movies. You can watch Live TV on Apple TV, Android TV, Chromecast, Roku, Xbox One, Samsung (select TV models), LG (select TV models), mobile devices with iOS and Android as well as through web browsers. This service supports 60 FPS broadcasts.